A+ ESC Air Conditioning Services, Inc. Comment: I a\have a new T2/non-programmable thermostat Honeywell ,I just buy from HomeDepot but the old thermostat was bigger and have like back panel and this one no so is hanging on the wall . Comment: We are in need of a brand new central a/c unit. We would like to have it installed by next week. The home was built in 1956 and has never had an a/c unit. Comment: I need an estimate for repairing a louver for a commercial business. The mechanized parts aren't working right. This is for an air plane hanger. Opa Locka Heating & Furnace Contractors are rated 4.77 out of 5 based on 709 reviews of 14 pros. 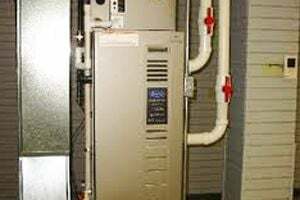 Not Looking for Heating & Furnace Systems Contractors in Opa Locka, FL?